The Kilcoy Race track is home to the Regions major races and is known as the Moonee Valley of the North. 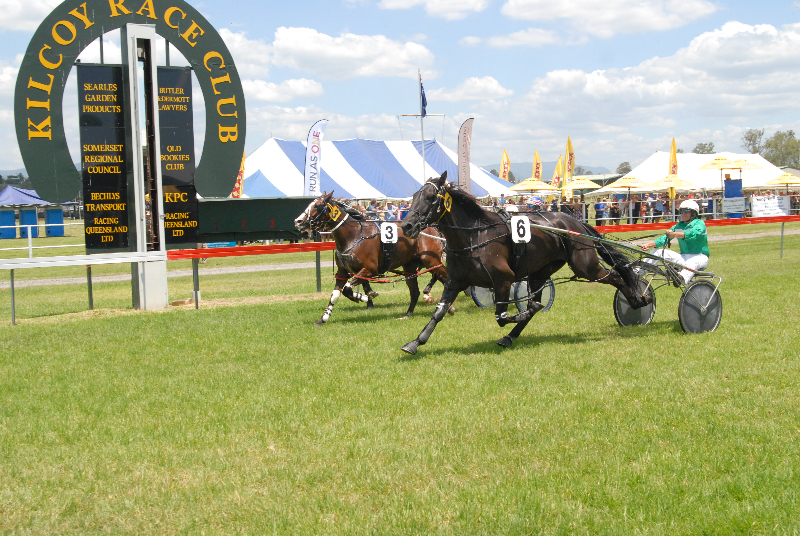 The Kilcoy Race Club runs several programs including Harness paces, Gallop races and mini trot races. Hosting local events Diggers and Veterans Race days as well significant events such as the Great Northern Cannonball Final 800m and Tattersall’s Racing Club Christmas Cup. Ladies are always encouraged to attend Race Days with varying prizes and acknowledgments on offer for best dressed. The Kilcoy Racecourse is kikuyu grassed and has a track circumference of 1270-metres with a home straight of 143-metres long. This is a very short home straight and suits front runners or horses near the lead. The course has tight turns making inside barriers an advantage for most starts. Races are run over six (6) distances – 800m, 1060m, 1200m, 1500m, 1900m and 2000m. Treat yourself to a Race Day, enjoy the food, the company and of course the Race itself. Kilcoy Racecourse will soon be expanded and reinvigorated after receiving $369,030 in funding through Round 4 of the State Government’s Building our Regions program that was announced today ( Feb 5, 2019) . The development project is also being supported with $553,545 from Somerset Regional Council and an additional $78,000 will be funded by Council for other project costs. This funding will be for the replacement of the dining area below the grandstand and raised spectator seating (including concreted areas, grassed areas and more).